There is no denying that the use of animated videos has increasingly become a preferred form of marketing and passing information. Think about popular social media platforms and the massive amounts of lively videos posted every day. It’s pretty obvious. So have you ever wondered why? The reality is that animated videos provide the much-needed uniqueness and attention-grabbing edge. At a time when only creativity and clarity has proven to convert the desired numbers, nothing can be productive as the exciting and crowd-pleasing impetus of animated videos. That said, you probably wondering how this is possible. Well, if you are new to this or you are that pro looking to try new options, there are several tools you could utilize to gets things going. But in this article, we want to introduce you to the powerful yet affordable Doodly. A relatively new arrival in the market of animation video applications, Doodly is an Internet-based animated video tool tailored to allow users to create quick quality videos through simple drag and drop interaction. The software serves as a reliable platform to build powerful whiteboard, blackboard, and glass board videos ideal for drawing attention, engaging and converting viewers. Unlike other alternatives which require experience to use, it’s super easy to get creative with Doodly. What’s more? It comes with a vast library of helpful resources customization of projects to the desired specification. With this software, you can create and utilize excellent hand-sketched videos in minutes. What would otherwise be very expensive were you to outsource from professional videographers comes easy with this tool. Also, Doodly is quite flexible given its compatibility with both MAC and Windows systems. Who is Doodly suitable for? Thanks to the catchy and eye-pleasing nature of Doodly videos, content creators and marketers on YouTube can leverage on the power of this tool to gain and engage more users. To capture the attention and enhance understanding of learners, teachers can use the power Doodly sketch videos. The beautiful nature of visual representation ensures thorough engagement every step of the way. Whether you are marketing on Facebook or any other social site, you can use this software to craft customized animated videos that would draw attention to whatever product or service you are offering. Doodle videos are suitable for realizing increased conversion rates. You could also make use of the application to create fun videos centred on specific objectives. Whether you want to impress or want to attract attention to a particular issue, Doodly makes it all possible and hassle-free. After downloading the app on to your Windows or MAC computer, you only need to log in and immediately you can get to work. No other complex procedures required. Beyond that, Doodly’s user interface consists of a few sections. In the middle you will find the canvas- this is where media are dragged and dropped. On the left, there is a panel that contains media categorized under five different tabs. Then there is a mirrored panel on the right which is divided into two. The upper part having scene playback tools while the lower end lists each media added on to the canvas. Similarly, at the top of the interface, you have the options of adding scenes, texts, props, characters, and sound. It takes a drag and drop action to take any media you want to the canvas and then you can customize them to your taste. Doodly easily converts everything to catchy sketch animations with the results coming in as little as 60 seconds. Doodly provides multiple options when it comes to board styles. You could choose between white, black, green or even glass board to create your videos. White and blackboards are especially popular for their compelling nature and are therefore quite ideal if you want to create engaging sketch videos. It’s simple to choose a preferred background before you get started. The application comes with exclusive technology that makes it possible to create point-and-click custom draw paths allowing you to draw any uploaded images to suit your needs. The Smart draw technology features a wide array of female and male hand types in various colours, sizes, and ethnicities. So if you don’t want to utilize the hundreds of already available images, this enables you to give your uploads a personalized touch. It’s a simple as getting an image on to the canvas, and Doodly automatically takes over. Although you have the freedom to bring in your media, the platform comes with a well-endowed library covering wide-ranging topics and niches. From characters to background scenes to props and assets, there is all you need to create attention-grabbing animated videos. For instance, on the app, you have instant access to many high-quality custom drawn doodle sketch images built by in-house professionals. The collection is unique and not available anywhere else. Depending on your plan you also gain access to the varying amount of poses, sounds, fonts, preset characters, and animations fit varying needs. The media graphics are categorized into four main formats that include scenes, characters, props, and text. Its super simple to utilize any of these considering double-clicking or selecting an item in the list enables actions such as flipping, reordering, moving, resizing or changing of colors. Because animated videos aren’t complete without background music or audio, Doodly also boasts of a great collection of tracks covering all manner of genres. As with all other types of media, you only need to drag and drop a suitable music track then you can adjust volume accordingly. Alternatively, you can record a voice over and easily embed it with the sketch in a click. There is also the option of uploading audio or voice recording from another program if you don’t find what works within the platform. Doodly supports upload different types of media in multiple formats. In a matter of minutes, you can bring on sounds, fonts, images, sounds and videos in varying qualities to enhance your customization options. Unlike some application whose use is only limited to one computer, Doodly can be installed in numerous computers much to your preference. Whether you are using a PC or Mac just one order allows you to utilize the tool across several units. With this tool, users can export sketch videos in various file formats and sizes. Anything from web-ready to full 1080p HD is a hassle-free possibility. This makes it easy to move the result to the intended place of use. For example, you can easily save website or YouTube videos in the desired form without any restriction export them directly. So there you have it. Given the features, Doodly packs a good punch both in value and quality of delivery. Getting unmatched realistic looking animated videos for a wide range of niches it couldn’t be any easier. So you do not need to spend crazy amounts of money to have enticing sketch videos to market, entertain or educate the various audiences. Doodly is one of the best tools out there if users are looking to create classy, professional doodle styled videos. With this wide variety of features, ease of use and pricing, it sure is a hit among all content creators when it comes to creating fun and interactive videos. 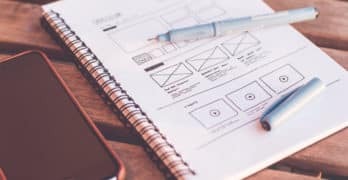 What is the fastest way to learn visual design? Come on, the fastest way to learn? Let’s rephrase the sentence; what’s the … Read Full Answer about What is the fastest way to learn visual design?